We are a professional services company based in Atlanta, GA. with partners in the United Kingdom and Asia. Our primary focus for marketing-related services is on technology businesses in graphic communication and advanced manufacturing fields, including both hardware and software vendors, and service providers who serve business customers. Some of the areas we can serve your business needs are in Market Entry, Sales, Marketing and Business Development. Hillam Technology Partners principals advise US & European companies on global business development with the same set of services as it offers for North American market entry. Let's discuss your project. Email or call us to get started. Hillam Technology Partners has over 20 years experience representing European and Asian companies in the United States. Our principals have experience doing business on every continent except Antarctica, maintaining a network in many technology-related fields, allowing our principals to advise on business development projects both within the US and globally. With 20 years’ experience of working in North America on behalf of European and Asian companies, Hillam Technology understands the pros and cons of these different channel strategies, and can offer a low-risk strategies and alternatives. Want to to learn more? Take a look at some of our work. Chris has over 25 years marketing and general management experience in high technology businesses with international scope. Most recently responsible for the Americas business of industrial inkjet supplier Xaar plc, he has also served as VP of marketing for a publicly-traded enterprise software company and previously set up and ran the US operation of an Asia-based technology marketing company headquartered in Hong Kong. He moved to the US in 1994 from Singapore, where he led the $120m prepress and printing equipment distribution operations of that company. Chris is a Chartered Engineer and Six Sigma Green Belt. He holds a B.Sc. (Honors) degree in electronic engineering from Southampton University, and a diploma in Strategic Marketing from Templeton College, Oxford. Living in Atlanta, GA, Chris is also on the board of ArtsATL.com. 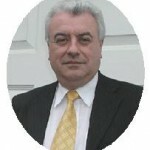 Phil is a UK based consultant with highly successful career in sales and marketing. Experienced as a PLC board director, has expertise in developing business strategies and tactical plans, with the emphasis on revenue and profit growth. He has extensive knowledge and experience of global business environments with cultural diversity, particularly in the BRIC regions. Phil’s current roles are as an advisor and non executive director to companies in the technology sectors of the printing and decorative laminate industries. 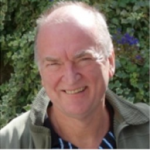 Peter is a UK-based consultant specialising in Account Management. He has developed models and methodologies to help organisations improve cost-effectiveness of operations, and increase sales yield. 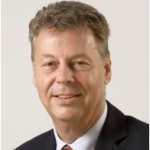 Peter has worked with clients such as BAE Systems, Dell, ESB, GE Healthcare, Polestar Group (Printing), Schenker Logistics and UCB Pharmaceuticals. His background includes 15 years with IBM in senior roles spanning international account management, winback, and customer finance, and 4 years with in account management re-structuring with Cable & Wireless. Peter has an Honors degree in electronics engineering, and an MBA from Lancaster University.